Ordering great printed products on our web site is easy! Just click on a product in list and then click the green get started button at the bottom of the product. Enter your attributes (quantity, paper type, turnaround time) and then click the Add to Cart button. Now to place your order, you must log in to your Just Press Print account. If you are a new customer, you can create an account by clicking on the Account button on the right side of the green navigation bar. Existing customers can just log in with an email address and password. Then its as easy as filling out your billing/shipping information and entering your payment details. Your payment information is always transmitted securely with our payment processor, Authorize.net. After you pay for your order you will have the opportunity to upload files for printing. To view the details and status of your order, log in to your Just Press Print account by clicking on the Account button on the right side of the green navigation bar. Enter your username and password to log in. Your orders will display on this page after you login. You can choose your paper type during the ordering process. Check out the "Paper Choices" tab on each product page to see what paper options are available for each product. We use a state-of-the-art Kodak Nexpress. We print with a 230 line screen (Lines Per Inch). Currently we are unable to accept custom size orders through the online ordering system. 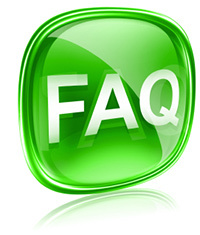 Only if you are a broker with our company, you may log into your account and request a Custom Quote. The product/print size I want isn't on your web site. Can you do custom print jobs? Absolutely! While our easy-to-use web ordering system offers dozens of common print products available for immediate online ordering right on this web site, custom print jobs are always possible by talking to a print specialist at Just Press Print. Our print experts will find the best solution to meet your specific needs, paying close attention to your budget and your deadline. We'll even talk you through the process and lay out your options, so that there is no mystery, no waiting, no worrying. Dedicated customer service is what we have built our business on, and what you will come back to time and time again when you Just Press Print. Please build your press-ready digital files to bleed size by adding 0 .25" to each dimension. Our bleed is 0.125" added to all 4 sides. Files not built correctly may delay the order, or may add costs. We require ALL files to be built to the full bleed dimension specified for each trim size. We automatically trim 0.125" off of each edge, which will result in the desired trim size. Simply add 0.25" to each overall dimension of your digital layout (in other words, an eighth of an inch to all sides). Example: a 5" x 7" would have a bleed size of 5.25" x 7.25". We offer dozens of downloadable templates that can help you with your layouts. Templates are available on each product page in both EPS and JPEG format which will help you design and lay out your files. Not only do we offer the best printing in the Rochester area, but we now offer design services as well. All design services are completely customized, and can be ordered directly from our web site. Our site lists the average prices for designing each product. If your product is exceptionally complex, further charges may be necessary. But for the vast majority of our clients, the price you see on our site is the price you pay for professional print design. And everything is usually turned around in 5 business days or less! Just Press Print will be happy to help you cancel your order prior to approval. However, orders may be eligible for cancellation upon request via email. Our Customer Service Team will inform you of any cancellation charges depending on the stage of the order. If job is canceled, any labor hours (proof, graphics design, etc.) or administrative fees (credit cards fees, etc.) will be subtracted from your refund. (15%-30% of total transaction) Once the order has been placed successfully, No Refunds are issued for the Logo, or Graphic design services. Just Press Print is committed to customer satisfaction. However, we are not responsible for typing, color, image, or design errors introduced by customers in the document creation process. Customer must notify Just Press Print within 6 business days of order acceptance to notify any defects discovered in the ordered product. In order to receive a replacement the customer must return 100% of the received product within 15 days (at their own expense) from the time when the delivery was received. All new charges related to expediting printing (Rush Printing or Shipping) are NON REFUNDABLE, including those orders that are returned for any reason.